I am looking for a script which could set all the PSP to RR on LUNS other than RDM’s on the ESXi. can you please help. Hi, have a question about the script. Does the VMs Created or Cloned (Last x Day(s) only show per month ? i have set it to the last 30 days to look for. And there where creations and deletion of vm’s in that month. Is there a way to shut the VM down , change the number of CPU and reboot again. I wanted to accomplish this my scheduling a POWERCLI script over night. Now I would like to shutdown or start up these VMs with these values by using “Stop-VM” and “Start-VM” but it returns “The input object cannot be bound…” error. Is this possible using this function? How is the site getting along again after the attack, al the scripts back online? I got your name from a colleague of mine. He told me you had a script that could convert all vpx MAC addresses to static MAC addresses, whilst maintaining the MAC address itself. This is used to retain IP information in the guest OS when the old VMXNET3 adapter is replaced by a new one, i.e. a copy of VM or start-from-backup in Veeam. Many thanks!! I just wanted to say thank you. I recently took a new job managing a medium size virtual environment and your many scripts have been invaluable to me. I have managed virtual environments for years but I had always been involved in the builing of the environment. Walking into a new environment I was not familiar with and that had been running for a few years, I was struggling to get a handle on everything. Your scripts have allowed me to get a much better understanding of how things are configured and find tons of things that are not configured in the best manner possible. While those things can be found manually looking at each VM, it is not very feasible when dealing with large numbers of hosts and VM’s. I look forward to seeing what you come up with next! Again, Thank you for your willingness to help others and your many contributions to us VMers. Hi, we are using the Vcheck report daily which is great, thanks. We have recently changed VM set up to have config files (and therefore snapshots) residing on a dedicated vDisk for each cluster. This is partly to ensure Veeam backup doesn’t inadvertently fill up a disk with snapshots. My Question, how do we modify the vcheck to flag any VM’s that do not have their config file on a specified LUN? We spoke briefly at VMWorld on the subject of moving vm’s from a 3.5 cluster to a 4.1 cluster using powershell, including upgrading tools, etc. I was wondering if you could shed some more light on this. I would like to do somewhat of a wholesale migration doing 10 to 15 machines at a time. Is there any way through which I can publish the VMs that are stored on more than one datastore? Can you please add a script which displays the VMs having disks located on more than one datastore. We have policy in our environment and want to check whether if there is any VM stored on more than one datastore. its ok..I figured it out!! Thanks again for all the nice scripts! First of all, let me express my gratitude to your contributions which have helped all the admins around the whole world…Thanks a ton mate!! I am trying to import csv which lists hardended services requirements (e.g Windows Installer should be disabled etc) and lookup through each service in the script and compare to the current server services…if it requirement is met then it returns compliant or else non-compliant…. all is fine but somehow for my foreach statement, it only compares the last entry in my imported csv and not all which should be normal…don’t understand what I’m missing…..can pls advice? Thanks for all your hard work tho … any chance of you coming up with a health check script for hyper-v? Great script, just recently started using it and have already identified a number of issues that have so far been missed. I will be looking out a script to query the information of Vmotion/ Vmkernel port info. of an ESX hosts. Data out put in excel filed. 1. Vmotion port configured Virtual Switch info. 7. CDP info. of vmnic’s configured for vmotion/ vmkernal port. Is there a way to list which VM has been on a host at a given time, using PowerShell? i am interested in the daily report script , is it possible to download it ? I have been running your script for the better aprt of a year now and it suddenly quit sending mail. I have confirmed that the script still runs and will display the output to the console, but when I configure to send mail, I never get it. Any ideas? Is there some additional debug parms? Do you have an update to your vProfile script that works with vSphere 4.x? 3. Report on any combination of characteristics: ie hotfixes and printers for the multiple servers. Thanks for your vcheck script. I am very new to powershell and I wad wondering if in the snapshots category, in addition of having that total size of the vm under “sizeMB”, could we also have the size taking by the snapshots. I am interested in the amount of data space that is taken by the actual snapshot. Especially the “vmware tools old” section? This way we keep in mind to update to the latest version. Note that I have “Unable to populate snapshot size due to unsufficient permissions”, however the user I run the script with should have enough priviliges. Something happened to the code then….not sure what. Put the Cluster Name after the get-cluster cmdlet. Like get-cluster MyCluster | ….. Omit the get-cluster cmdlet to shut down every VM on the VC. You would have to be connected to the VC, that should be a good place to start. Hey there, Like the scripts you have obvious.ly put in a lot of time on this! I did note one omission, a script to shutdown multiple VMs in the event you need to power down a cluster or the entire infrastructure. So if you have one handy or know where to point me I would appreciate it…. I’ve been using your daily checks scripts for sometime now and can honestly say it helps me immeasurably. We’ve recently upgraded our backup solution to a product that fully integrates with the new change block tracking features in the vStorage API. However, to get this fully working i need to add and set the ctkEnabled=true value in the configuration paraments as well as adding and setting the scsi0:0.ctkEnabled = true value for each virtual disk. Is there an easy we to do this with powershell other than updating each VM indiviually? V3 will be released very soon. 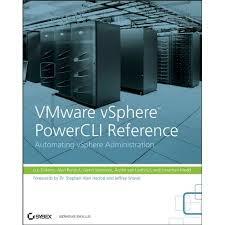 I saw a webinar today that showed your powerpack for the virtualization echoshell. Awesome work all around!!! Really appreciate your scripts. Thank you. I have noticed a new problem cropping up in vSphere 4. It seems that they added NUMA verification to the lastest code. So if your hosts do not have the correct memory layout then you will get errors on your ESX host. Is it possible to add a VESI script to check for memory layout? Maybe a best practice query? I new on poweshell, but it seem to be great tool. I tryed dailyreport with the folowing problem. Please specify a VI Server name eg…. Suggestion for a script, may not be easy. Basic idea is that VMotion can screw up the auto-start for VMs (turn it off), why not have a script that runs daily and resets the desired auto-start of one’s important VMs?? There is I know a best practice for restarting VMs, it’s something like: AD/DNS virtual server if there is one (we also have a physical one), Virtual Center server, then other servers as desired. One might or might not have DRS enabled, one likely has HA started. Perhaps the user must create a text file with a list of VM names and a note about what is the VM’s function. The script could look at this list, compare it to the existing list of VMs on the host, then do what is necessary to ensure the VMs are correctly set to auto-start, plus send a message to someone about this too. It could become an adjunct to vCheck Daily Report?? Glad it worked out and I will try and keep you interested ! Man that was quick!! Silly me…..I have “Set-ExecutionPolicy Restricted” at the tail end of a script that runs daily to query some basic Exchange information. That must have blocked it. Thanks a bunch for pointing me in the right direction. I’ll continue to be an avid reader of your blog. I bumped into your site by accident and I seem to have stumbled on a pot of gold. I’m a PowerShell beginner and wanted to know how to properly run your Audit.PS1 script. When I run it on my test machine (right click and Run with PowerShell), the PowerShell windows comes up and then disappears about 10 seconds later. Is there something I’m doing wrong? Thanks for your time. UnclePhil, what CMDB are you integrating with? I would love to see the results you get with your script. I ran across your “Audit Script” on poshcode.com. There is a parser error that keeps coming up near the end and it looks like the file got cut off. Do you have any thoughts so I could try this? Ok all you need to do is this…..
That should be about it, if you get stuck or need any more info please let me know. Do you think that would be more useful than the vm’s created in the previous x days ? Its easily done but I think I will keep it as it is, Don’t worry though I will do a seperate post showing how to get this info so you can add it easily. Absolutely, Free to all ! Hi I am looking at your nice Health check script, Can we download it is it free to use? A very nice to have feature in the script would be if it showed the last 10-20 created machines. Is that possible? Something you allready thought of? I saw your DailyReport script and it looks great but did not see any instructions on what is required to run it? Do you perhaps have some detail installation instructions for this, I’m sorry but I’m new to powershell.